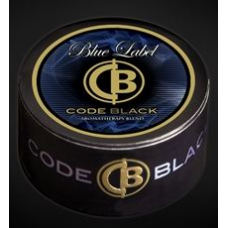 Newest addition to the Code Black family, Blue Label stands shoulder to shoulder with Black Label, yet offering its own distinct personality, class, and hypnotic characteristic. Its rich, fruity and vibrant and fills any space with relaxing, hypnotic and vibrant moods. The newest addition to the Code Black family, Blue Label stands shoulder to shoulder with Black Label, yet offering its own distinct personality, class, and hypnotic characteristic. Its rich, fruity and vibrant and fills any space with relaxing, hypnotic and vibrant moods. Disclaimer: This product is intended only to be used as an aromatic potpourri only. It is not designed or intended for human consumption. Both the manufacturers and retailers of this product take no responsibility for the incorrect use or misuse of this product.